Pick any 100 gluten-free Meal Replacement Shakes for just £70. 1. Choose any 100 Shakes by clicking them below, using the quantity selector to increase or decrease quantity. 2. Click 'Add To Basket' then enter code PAYDAY100 at the basket and your discount will apply! What Is Exante Coffee & Walnut Meal Replacement Shake? 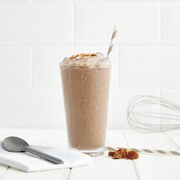 Coffee & Walnut shake is part of our vegan meal replacement range. Its espresso-infused flavour is deliciously sweet but contains no gluten, and is low sugar. It delivers 17g of plant-based protein with less than 211 calories per serving, making it one of the best vegan meal replacement shake for weight loss. What Is In A Vegan Meal Replacement Shake? You’ll find that all of our vegan shakes, including Coffee & Walnut, contain 27 vegan-friendly vitamins and minerals. This special blend, including the full B vitamin complex and iron, provides your body with essential nutrients for normal energy-yielding metabolism(1), all while being calorie controlled for vegan weight loss. We’ve also added green tea extract, which supports the metabolism and fat oxidation(2). What Is Exante Blueberry Muffin Meal Replacement Shake? 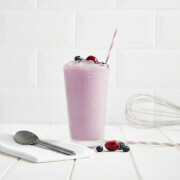 Blueberry Muffin shake is part of our vegan meal replacement range, which is plant-based and gluten free. The vegan Blueberry Muffin flavour has a deliciously sweet and creamy flavour that is made using natural flavours. The shakes in our vegan range have nothing but the best ingredients. Blueberry Muffin shake is high in protein, with 17g of soy protein per serving, but only contains 212 calories making it one of the best vegan meal replacement shakes for a VLCD. We’ve also added green tea extract and 27 other vitamins and minerals to support you on a low calorie, dairy free, or vegan diet. What Is Exante Banana Bread Meal Replacement Shake? Banana Bread shake is part of our vegan meal replacement range, designed to harness the power of plant-based proteins and help you to lose weight on a VCLD diet. The vegan Banana Bread flavour is also gluten free, with a sweet and creamy flavour. You’ll find nothing but the best plant-based ingredients in our Banana Bread Shake. It contains 17g of oat and soy protein, 3.9g of fibre, and only 207 calories per serving, making it one of the best vegan meal replacement shakes. We’ve also added green tea extract and 27 other vitamins and minerals that support you on a low calorie, dairy free diet. What Is Exante Double Chocolate Meal Replacement Shake? 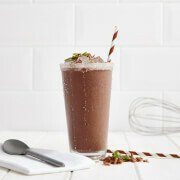 Double Chocolate shake is part of our vegan meal replacement range. It tastes just like chocolate ice-cream taste, but it is plant-based and gluten free! 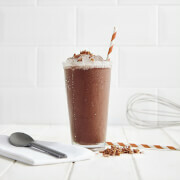 We only use natural flavours in our Double Chocolate Shake, which is low in sugar. A meal replacement shake usually contains whey protein. 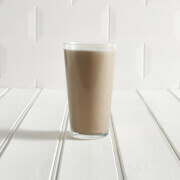 Vegan meal replacement shakes, including our Double Chocolate, contain soy protein as a plant-based alternative. Our Double Chocolate shake also contains 4.4g of fibre, 27 vitamins and minerals, and just 212 calories to support your body on a VLCD. While our unflavoured shake might not seem as exciting as some of our other range of flavoured, the versatility of this high-protein meal replacement shake is where it wins. Create your favourite combinations of fruit smoothies or combine with oats, peanut butter and more to create a delicious and nutritionally balanced meal. Why try this exante Meal Replacement Low Sugar Smoothie? Made with filling oat flour and a creamy all-natural banana flavour, exante Low Sugar Meal Replacement Smoothies are perfect for breakfast, lunch or dinner! Who can benefit from a low sugar meal replacement smoothie? Whether you are looking for quick and easy weight loss or to control your calorie intake, our low sugar meal replacement smoothies are gluten-free and low in sugar and packed with 17g of protein and 27 vitamins and minerals per serving. Gluten Free Fine Oat Flour, Soy Protein, Whey Protein Concentrate (Milk), Vegetable Fat Concentrate (Refined Soybean Oil, Maltodextrin, Milk Protein, Emulsifier (Soya Lecithins), Antioxidant (Fatty Acid Esters of Ascorbic Acid, Alpha-Tocopherol)), Maltodextrin, Vegetable Creamer Concentrate (Refined Coconut Oil, Whey Powder (Milk), Milk Protein, Stabilizer (Triphosphates Acetylated Oxidised Starch), Free Flowing Agent (Tricalcium Phosphate)), Inulin, Potassium Citrate, Natural Flavouring, Calcium Phosphate, DI Potassium Phosphate, Calcium Chloride, Emulsifier (Xanthan Gum, Guar Gum), Potassium Chloride, Magnesium Oxide, Vitamin & Mineral Premix (Vitamin C, Maltodextrin, Iron, Vitamin E, Niacin, Vitamin A, Zinc, Copper, Fluoride, Chromium, Selenium, Manganese, Vitamin D3, Folic Acid, Potassium Iodide, Vitamin B6, Vitamin B5, Vitamin K, Thiamine, Biotin, Molybdenum, Riboflavin, Vitamin B12), Sweetener (Sucralose), Salt, Colour (Beta Carotene, Turmeric). 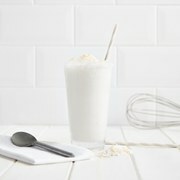 exante Coconut Low Sugar Smoothies burst with flavour and all-natural sweetness without the sugar. Our tropical coconut flavour and oatflour combine to make the perfect meal replacement to keep you feeling fuller for longer. For an extra kick, why not blend with ice or a frozen banana for a refreshing Summer drink. Whether you are looking for quick and easy weight loss or to control your calorie intake, our low sugar meal replacement smoothies are protein and vitamin-enriched drinks suitable for anyone looking to control their sugar intake. Gluten Free Fine Oat Flour, Soy Protein, Whey Protein Concentrate (Milk), Vegetable Fat Concentrate (Refined Soybean Oil, Maltodextrin, Milk Protein, Emulsifier (Soya Lecithins), Antioxidant (Fatty Acid Esters of Ascorbic Acid, Alpha-Tocopherol)), Maltodextrin, Inulin, Vegetable Creamer Concentrate (Refined Coconut Oil, Whey Powder (Milk), Milk Protein, Stabilizer (Triphosphates Acetylated Oxidised Starch), Free Flowing Agent (Tricalcium Phosphate)), Potassium Citrate, Natural Flavouring, Calcium Phosphate, DI Potassium Phosphate, Calcium Chloride, Emulsifier (Xanthan Gum, Guar Gum), Natural Flavour, Potassium Chloride, Magnesium Oxide, Vitamin & Mineral Premix (Vitamin C, Maltodextrin, Iron, Vitamin E, Niacin, Vitamin A, Zinc, Copper, Fluoride, Chromium, Selenium, Manganese, Vitamin D3, Folic Acid, Potassium Iodide, Vitamin B6, Vitamin B5, Vitamin K, Thiamine, Biotin, Molybdenum, Riboflavin, Vitamin B12), Sweetener (Sucralose), Salt, Ground Cinnamon. 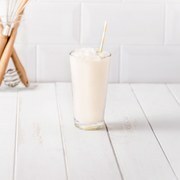 Smooth, creamy and oatally delicious, our Vanilla Low Sugar Smoothies are gluten-free and made from real oat flour, for a natural healthy smoothie taste with a hint of vanilla bean. With just 2.3g of sugar per serving, you can enjoy the rich vanilla taste with zero guilt. Enriched with 27 vitamins and minerals and 17g of protein to keep you feeling fuller for longer, whether you are looking for quick and easy weight loss or to control your calorie intake, our low sugar meal replacement smoothies are suitable for anyone looking to control their sugar intake. Gluten Free Fine Oat Flour, Soy Protein, Whey Protein Concentrate (Milk), Vegetable Fat Concentrate (Refined Soybean Oil, Maltodextrin, Milk Protein, Emulsifier (Soya Lecithins), Antioxidant (Fatty Acid Esters of Ascorbic Acid, Alpha-Tocopherol)), Maltodextrin, Vegetable Creamer Concentrate (Refined Coconut Oil, Whey Powder (Milk), Milk Protein, Stabilizer (Triphosphates Acetylated Oxidised Starch), Free Flowing Agent (Tricalcium Phosphate)), Natural Flavour, Inulin, Potassium Citrate, Calcium Phosphate, DI Potassium Phosphate, Calcium Chloride, Emulsifier (Xanthan Gum, Guar Gum), Potassium Chloride, Magnesium Oxide, Vitamin & Mineral Premix (Vitamin C, Maltodextrin, Iron, Vitamin E, Niacin, Vitamin A, Zinc, Copper, Fluoride, Chromium, Selenium, Manganese, Vitamin D3, Folic Acid, Potassium Iodide, Vitamin B6, Vitamin B5, Vitamin K, Thiamine, Biotin, Molybdenum, Riboflavin, Vitamin B12), Sweetener (Sucralose), Salt, Colour (Beta Carotene). 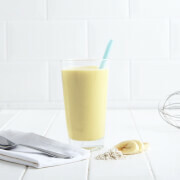 exante Low Sugar Smoothies burst with fruity flavour and all-natural sweetness without the sugar. Our Strawberry Low Sugar Smoothie is the perfect meal replacement, packed with gluten-free oat flour for that fuller-for-longer flavour. For an extra kick, blend with ice or a frozen banana for a refreshing Summer drink. Gluten Free Fine Oat Flour, Soy Protein, Whey Protein Concentrate (Milk), Vegetable Fat Concentrate (Refined Soybean Oil, Maltodextrin, Milk Protein, Emulsifier (Soya Lecithins), Antioxidant (Fatty Acid Esters of Ascorbic Acid, Alpha-Tocopherol)), Maltodextrin, Vegetable Creamer Concentrate (Refined Coconut Oil, Whey Powder (Milk), Milk Protein, Stabilizer (Triphosphates Acetylated Oxidised Starch), Free Flowing Agent (Tricalcium Phosphate)), Inulin, Potassium Citrate, Natural Flavouring, Calcium Phosphate, DI Potassium Phosphate, Colour (Beetroot), Calcium Chloride, Emulsifier (Xanthan Gum, Guar Gum), Natural Flavour, Potassium Chloride, Magnesium Oxide, Vitamin & Mineral Premix (Vitamin C, Maltodextrin, Iron, Vitamin E, Niacin, Vitamin A, Zinc, Copper, Fluoride, Chromium, Selenium, Manganese, Vitamin D3, Folic Acid, Potassium Iodide, Vitamin B6, Vitamin B5, Vitamin K, Thiamine, Biotin, Molybdenum, Riboflavin, Vitamin B12), Sweetener (Sucralose), Salt. With a deep and creamy chocolatey flavour and smooth oat taste, our Chocolate Low Sugar Smoothie is the perfect meal replacement or guilt-free treat. On warm Spring and Summer days it’s so easy to consume calories from coffee shop frappe drinks packed with added sugars and fat! 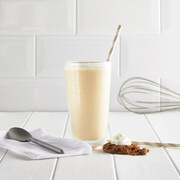 Instead, cool off with our low sugar, high protein caramel latte frappe meal replacement shake containing half the calories! See ingredients in bold. May also contain sulphites. Skimmed Milk Powder, Whey Protein Concentrate (Milk), Vegetable Fat Concentrate (Refined Soybean Oil, Maltodextrin, Milk Protein, Emulsifier (Soya Lecithins)), Soy Protein, Vegetable Creamer Concentrate (Refined Coconut Oil, Whey Powder (Milk), Milk Protein), Inulin, Maltodextrin, Potassium Citrate, Natural Flavouring, Emulsifier (Xanthan Gum, Guar Gum), DI Potassium Phosphate, Salt, Calcium Chloride, Caramel Colour (E150c), Magnesium Oxide, Vitamin & Mineral Premix (Vitamin C, Maltodextrin, Iron, Vitamin E, Niacin, Vitamin A, Zinc, Copper, Fluoride, Chromium, Selenium, Manganese, Vitamin D3, Folic Acid, Potassium Iodide, Vitamin B6, Vitamin B5, Vitamin K, Thiamine, Biotin, Molybdenum, Riboflavin, Vitamin B12), Sweetener (Sucralose). 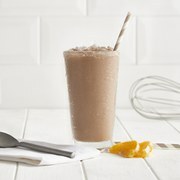 A firm favourite, this classic Exante shake is thick and smooth with a delicious chocolate flavour, perfect for those who love chocolate and want to keep their calories down. All our meal replacement shakes and smoothies are Gluten Free, making them suitable for those with Coeliac disease and those who are gluten intolerant. Exante is the UK’s number 1 meal-replacement diet. Exante Diet offers the largest online range of high-quality, affordable meal-replacement products which includes soups, shakes, bars and meals. Use our meal-replacement products as part of our flexible and easy-to-follow diet plans for quick weight-loss, or in conjunction with healthy everyday foods for weight management. How to use Exante Diet Chocolate Shake? The Exante Chocolate Shake can be used as part of an Exante Diet plan for quick weight loss or as a meal replacement to complement a calorie-controlled diet. All Exante Diet soups, shakes, bars and meals are enriched with over 22 vitamins and minerals and are high in protein and fibre. Eating three Exante Diet products a day will provide you with 100% of your EU Recommended Intake (RI) for vitamins and minerals. 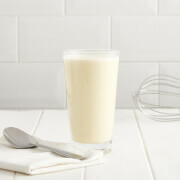 Empty into a shake bottle or glass and add 200ml (6.8 fl.oz) water, stir well before consuming. 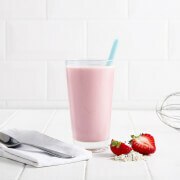 The strawberry exante meal replacement shake is a rich, creamy and fruity fan favourite. exante shakes are also gluten-free and suitable for people with Coeliac disease. Perfect for breakfast, lunch or dinner, or even as a snack or dessert, exante diet meal replacement shakes can help people controlling their calorie intakes, whether as a protein and vitamin-enriched supplement for a healthy, balanced diet or for quick and easy weight loss. Skimmed Milk Powder (42%), Vegetable Fat Concentrate (Refined Soybean Oil, Maltodextrin, Milk Proteins, Emulsifier (Soy Lecithins), Antioxidant (Fatty Acid Esters of Ascorbic Acid, Alpha-Tocopherol)), Whey Protein Concentrate (Milk), Soy Protein, Vegetable Creamer Concentrate (Refined Coconut Oil, Whey Powder (Milk), Milk Protein, Stabilizer (Triphosphates Acetylated Oxidised Starch), Free Flowing Agent (Tricalcium Phosphate)), Maltodextrin, Inulin, Potassium Citrate, Natural Flavouring, Emulsifiers (Xanthan Gum, Guar Gum), Colour (Beetroot), DI-Potassium Phosphate, Salt, Calcium Chloride, Magnesium Oxide, Vitamin Premix (Biotin, Chromium, Copper, Fluoride, Folic Acid, Iodine, Iron, Manganese, Molybdenum, Niacin, Pantothenic Acid, Selenium, Vitamin A, Vitamin B1, Vitamin B12, Vitamin B2, Vitamin B6, Vitamin C, Vitamin D, Vitamin E, Vitamin K1 And Zinc), Sweetener (Sucralose). 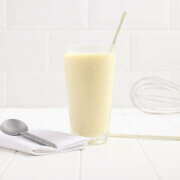 This thick and creamy exante meal replacement shake features a classic vanilla taste. exante diet shakes are also gluten-free and suitable for people with Coeliac disease. Skimmed Milk Powder (41%), Vegetable Oils (Refined Soybean Oil, Maltodextrin, Milk Proteins, Emulsifier (Soya Lecithins), Antioxidant (Fatty Acid Esters of ascorbic acid, Alpha-Tocopherol)), Whey Protein Concentrate (Milk), Soy Protein, Vegetable Oils (Refined Coconut Oil, Whey Powder (Milk), Milk Protein, Stabilizer (Triphosphates Acetylated Oxidised Starch), Free Flowing Agent (Tricalcium Phosphate)), Maltodextrin, Inulin, Potassium Citrate, Natural Flavouring, Emulsifiers: Xanthan Gum, Guar Gum; Salt, Di-Potassium Phosphate, Calcium Chloride, Magnesium Oxide, Vitamin Premix: Biotin, Chromium, Copper, Fluoride, Folic Acid, Iodine, Iron, Manganese, Molybdenum, Niacin, Pantothenic Acid, Selenium, Vitamin A, Vitamin B1, Vitamin B12, Vitamin B2, Vitamin B6, Vitamin C, Vitamin D, Vitamin E, Vitamin K1, Zinc; Natural Colour: Beta Carotene, Sweetener: Sucralose. 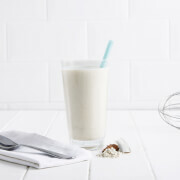 This thick and creamy exante meal replacement shake features a classic creamy almond vanilla taste. exante diet shakes are also gluten-free and suitable for people with Coeliac disease. Skimmed Milk Powder, Vegetable Oils (Refined Soybean Oil, Maltodextrin, Milk Proteins, Emulsifier (Soya Lecithins), Antioxidant (Fatty Acid Esters of Ascorbic Acid, Alpha-Tocopherol)),Whey Protein Concentrate (Milk), Soy Protein, Vegetable Oils (Refined Coconut Oil, Whey Powder (Milk), Milk Protein, Stabilizer (Triphosphates Acetylated Oxidised Starch), Free Flowing Agent (Tricalcium Phosphate)), Maltodextrin, Inulin, Potassium Citrate, Natural Flavouring, Emulsifer (Xanthan Gum, Guar Gum), Di-Potassium Citrate, Salt, Calcium Chloride, Magnesium Oxide, Vitamin Premix (Vitamin C, Zinc, Iron, Vitamin E, Nicotinamide, Copper, Vitamin A, Fluoride, Manganese, Pantothenic Acid, Biotin, Chromium, Selenium, Folic Acid, Vitamin D3, Iodine, Vitamin B12, Vitamin B6, Vitamin K1, Vitamin B1, Riboflavin, Molybdenum), Sweetener (Sucralose). This exante meal replacement shake features an indulgent chocolate orange flavour. exante diet shakes are also gluten-free and suitable for people with Coeliac disease. 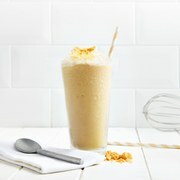 Enjoy the delicious taste of honeycomb in a smooth, creamy diet shake. 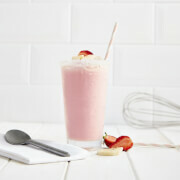 This shake is incredibly moreish and is perfect for breakfast, lunch, dinner or even as dessert. Skimmed Milk Powder, Vegetable Oils (Refined Soybean Oil, Maltodextrin, Milk Proteins, Emulsifier (Soya Lecithins), Antioxidant (Fatty Acid Esters of Ascorbic Acid, Alpha-Tocopherol)), Soy Protein, Whey Protein Concentrate (Milk), Vegetable Oils (Refined Coconut Oil, Whey Powder (Milk), Milk Protein, Stabilizer (Triphosphates Acetylated Oxidised Starch), Free Flowing Agent (Tricalcium Phosphate)), Maltodextrin, Natural Flavouring, Additive: Tri Potassium Citrate, Inulin, Emulsifiers: Xanthan Gum, Guar Gum; Natural Colour (Beta Carotene), Caramel Colour, Di-Potassium Phosphate, Sodium Chloride, Calcium Chloride, Magnesium Oxide, Vitamin Premix (Vitamin C, Zinc, Iron, Vitamin E, Nicotinamide, Copper, Vitamin A, Fluoride, Manganese, Pantothenic Acid, Biotin, Chromium, Selenium, Folic Acid, Vitamin D3, Iodine, Vitamin B12, Vitamin B6, Vitamin K1, Vitamin B1, Riboflavin, Molybdenum), Sweetener: Sucralose. 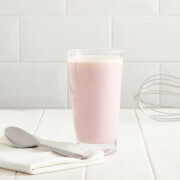 This thick and creamy exante meal replacement shake features a classic white chocolate and raspbery taste. exante diet shakes are also gluten-free and suitable for people with Coeliac disease. 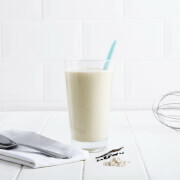 This thick and creamy exante meal replacement shake features a classic creamy coconut taste. exante diet shakes are also gluten-free and suitable for people with Coeliac disease. A perfect alternative to the classic chocolate shake, the exante chocolate mint diet shake is smooth and creamy with the distinctive of peppermint. 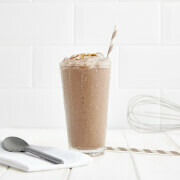 This exante meal replacement shake features an indulgent toffee caramel flavour. exante diet shakes are also gluten-free and suitable for people with Coeliac disease. Skimmed Milk Powder, Vegetable Oils (Refined Soybean Oil, Maltodextrin, Milk Proteins, Emulsifier (Soya Lecithins), Antioxidant (Fatty Acid Esters of Ascorbic Acid, Alpha-Tocopherol)),Whey Protein Concentrate (Milk), Soy Protein, Vegetable Oils (Refined Coconut Oil, Whey Powder (Milk), Milk Protein, Stabilizer (Triphosphates Acetylated Oxidised Starch), Free Flowing Agent (Tricalcium Phosphate)), Maltodextrin, Inulin, Potassium Citrate, Flavouring, Emulsifiers: Xanthan Gum, Guar Gum; Di Potassium Phosphate, Salt, Calcium Chloride ,Caramel Colour, Magnesium Oxide, Vitamin Premix: Vitamin C, Zinc, Iron, Vitamin E, Nicotinamide, Copper, Vitamin A, Fluoride, Manganese, Pantothenic Acid, Biotin, Chromium, Selenium, Folic Acid, Vitamin D3, Iodine, Vitamin B12, Vitamin B6, Vitamin K1, Vitamin B1, Riboflavin, Molybdenum; Sweetener: Sucralose. Why Try Exante Lemon Cheesecake? This thick and creamy Exante meal replacement smoothie is ideal for lemon cheesecake lovers. Why Use Exante Meal Replacement Shakes? Exante diet smoothies are nutritionally developed with balanced calories, vitamins, and macronutrients. ITV's Dr Zoe Williams said that "the Exante diet is nutritionally complete...you've got every vitamin & nutrient you need." What Is A Meal Replacement Smoothie? 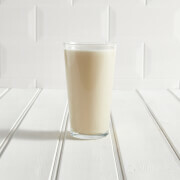 The best meal replacement smoothies are protein and vitamin-enriched supplements to healthy, balanced diets. They are often a powder that is easily mixed into water and consumed instead of a main meal, making them ideal whether you are looking to control your calorie intake or for quick and easy weight loss. Skimmed Milk Powder, Vegetable Oils (Refined Soybean Oil, Maltodextrin, Milk Proteins, Emulsifier (Soya Lecithins), Antioxidant (Fatty Acid Esters of Ascorbic Acid, Alpha-Tocopherol)),Whey Protein Concentrate (Milk), Skimmed Milk Yoghurt, Soy Protein, Vegetable Oils (Refined Coconut Oil, Whey Powder (Milk), Milk Protein, Stabilizer (Triphosphates Acetylated Oxidised Starch), Free Flowing Agent (Tricalcium Phosphate)), Maltodextrin, Inulin, Potassium Citrate, Lemon Cheesecake Premix (Maltodextrin, Flavouring Preparations, Modified Starch, Sweetener (E955), Gum Acacia (E414), Flavouring Substances, Triacetin (E1518), Natural Flavouring Substances, Tocopherol (E306)), Emulsifiers: Xanthan Gum, Guar Gum; Di-Potassium Phosphate, Salt, Calcium Chloride, Magnesium Oxide, Vitamin Premix: Vitamin C, Zinc, Iron, Vitamin E, Nicotinamide, Copper, Vitamin A, Fluoride, Manganese, Pantothenic Acid, Biotin, Chromium, Selenium, Folic Acid, Vitamin D3, Iodine, Vitamin B12, Vitamin B6, Vitamin K1, Vitamin B1, Riboflavin, Molybdenum; Natural Colour (Beta Carotene).